Jacquie Hannan has been in the beauty industry for more than 15 years. A licensed Cosmetologist since 1990, she decided to explore a career in Makeup Artistry. 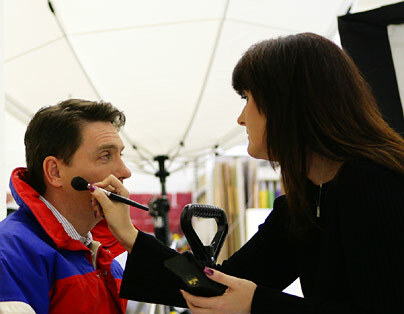 She graduated from the Joe Blasco School of Makeup Artistry in 2000 and began Airbrush Makeup in 2008. Her specialties are Model/Portfolio, Men's Grooming, Bridal, Fashion, Editorial, Corporate / Commercial, and Television. She has had some wardrobe experience as well as a year of Production experience. Currently represented by THE Artist Agency, in Georgetown, DC, she has had the privilege of working with many high profile clients. This would include athletes, television personalities, politicians, and corporate executives. Her work has been featured in several magazines such as Bethesda Magazine, Essence, O Magazine, People, Vanity Fair, and Women's Health, etc. Bethesda Magazine Cover Shoot "Fame!" "Old Furniture New House "